What happens if pharmacists discover an error in a controlled substance prescription? Nobody’s perfect. Mistakes happen, including when writing prescriptions. While some errors can be corrected easily, others require a do-over, particularly in the case of controlled substances. OnePoint Patient Care’s highly trained pharmacists are skilled at noticing mistakes and correcting them when legally permissible, with the goal of getting accurate medication to patients as quickly as possible. It is helpful to understand when and why our pharmacists can and cannot correct the errors they find. For CIII-V medications, a pharmacist may add or change the patient’s address after verifying the information. A pharmacist may also add or change the dosage form, drug strength, drug quantity, directions for use or issue date after consulting with and getting agreement from the prescribing practitioner. However, a pharmacist is not permitted to make changes to the patient’s name (other than minor spelling corrections), controlled substance prescribed (except for generic substitution permitted by state law) or the prescriber’s signature. For CII medication orders, the ability to make changes is less clear-cut. Originally, DEA stated that pharmacists could make the same changes and additions to CII prescriptions as allowed for CIII-V prescriptions. Given DEA’s previous position, this confused and outraged pharmacists. In response, DEA issued a letter acknowledging the confusion and promising to resolve the matter. In the meantime, pharmacists were instructed to adhere to state regulations or policies regarding changes they could make to a CII prescription after oral consultation with the prescriber. 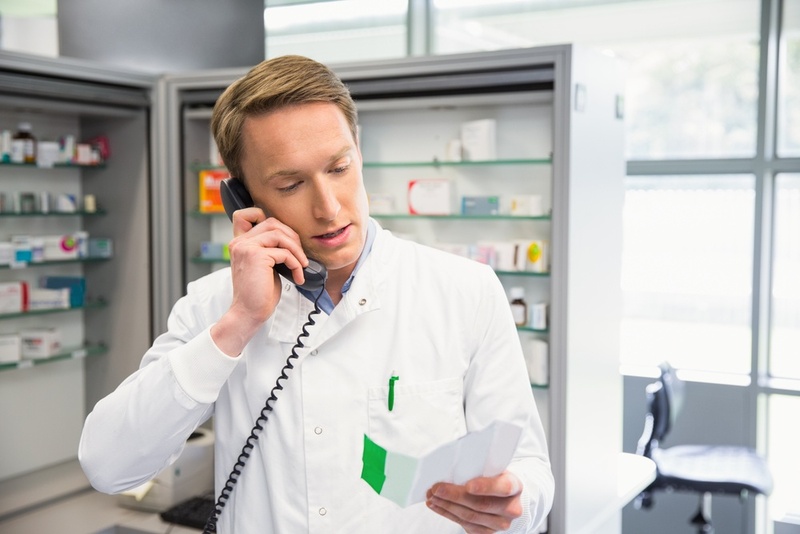 Since DEA has not yet issued a clarification, pharmacists must continue to rely on their professional judgment in deciding whether a change can be made to a prescription or whether the prescription needs to be re-issued. Any other components of a prescription for a CII medication order may be changed after consultation with the prescriber. At OnePoint, we share your commitment to getting medication to patients quickly and accurately. If the controlled substance prescription order you send to OnePoint contains errors, you can count on our pharmacists to efficiently attempt to correct the errors and verify the changes —with a minimum amount of inconvenience to the prescriber and within the confines of existing state law.